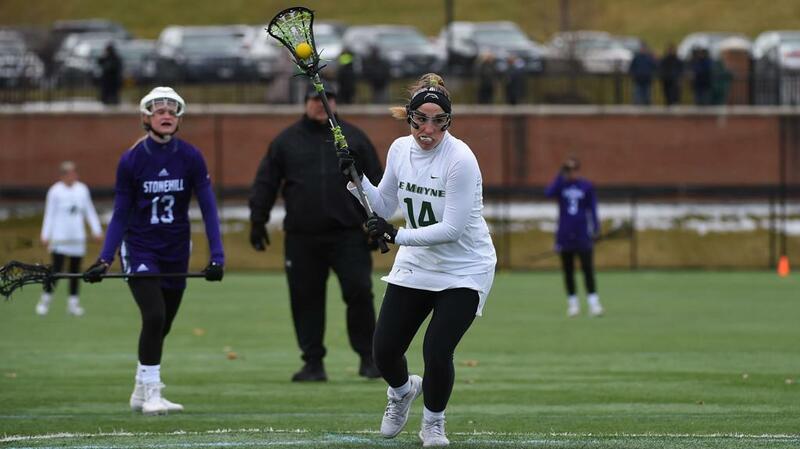 Le Moyne College (11-0) remained atop the Division II Coaches Poll with all 25 first-place votes this week. Adelphi (10-1), Lindenwood (12-0), and LIU Post (10-2) all moved up one spot after Rollins (11-1) fell to Florida Southern (11-2) last week. Rollins now sits in a tie for #5 with Tampa (9-2), Florida Southern is seventh, and West Chester (9-2), Regis (11-0), and Limestone (13-1) round out the top ten. Indiana University of PA makes its 2019 poll debut at #25 after beating East Stroudsburg (9-3) and knocking the Warriors out of the top ten. Top-25 games get underway on Tuesday, when #7 Florida Southern visits Saint Leo (#21). On Wednesday, Adelphi (#2) hosts #19 Bentley, and the two teams deadlocked in fifth, Tampa and Rollins, meet to settle the score with a top-five ranking on the line. Friday features #13 Queens at #10 Limestone, and the weekend’s games include #24 New York Tech at #4 LIU Post, top-ranked Le Moyne at #18 Merrimack, Bentley at #20 Pace, Rollins at Saint Leo, and #9 Regis at #3 Lindenwood.